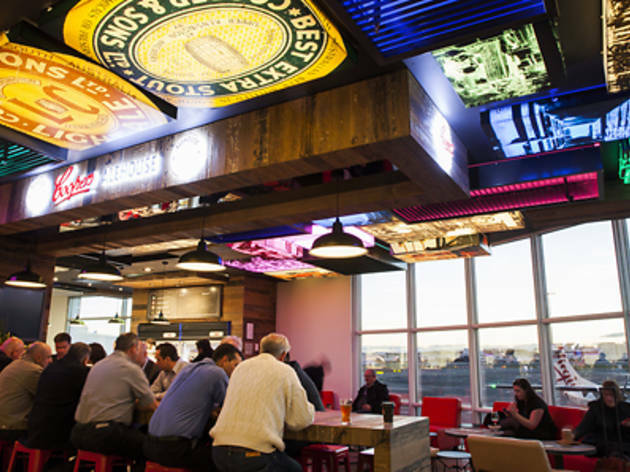 So you know how you're at the airport waiting around and thinking, "Damn, if only there was a specifically Coopers-dedicated bar where I could sink a few pale ales?" only to be disappointed by the lack of such an option. Well, that won't happen anymore. 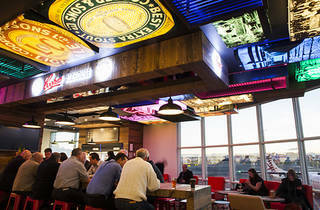 Coopers has just opened the Coopers Alehouse at Sydney's T2 Domestic Terminal. So far we know that the bar will offer a range of Coopers beers on tap along with bottled and imported brews and wine and pre-mixed for the non beer-heads about to hop a plane. The menu will have breakfast, lunch and dinner options including pizzas.